Here is the scoop: A group of community-minded, experienced beards-people came together and managed to grab a hold of the ship’s wheel on the USS BTUSA, and our goal is to refinish the hull and bring it back to the once fun and care-free notion that American Beards are the best beards in the world. Our mission is to put charity and community above pride and profit while bringing positive outside attention to the bearding subculture and its local and regional competitions. There is no longer a “self-appointed Captain”, instead there is a committee that takes care in and recognizes the positive accomplishments of all beard clubs and organizations in the United States of America. The last 5 years have been a period of national growth that can be likened to a bearded Cambrian Explosion, with beard clubs and competitions popping up all over the United States. 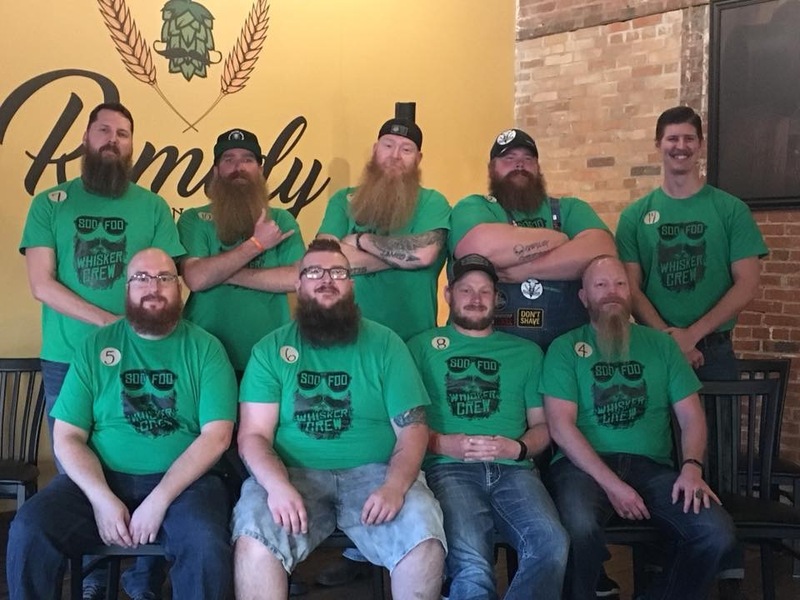 In 2017 alone, American beard clubs raised over $200,000 for local and National charities, and everyone looked great doing it. Along with current Bearding News and current events, this monthly newsletter will highlight the All-American clubs, competitions, and beards-people that contribute positively to the fun-loving, generous Facial Hair Community in the United States. We will also begin to include helpful columns such as grooming and styling advice into these newsletters and our blog, and respond publicly to questions to the editor as they come in. We hope that you enjoy the new look. Thanks for your time and keep Growing for America! When were you established? Formed in 2017. How many members do you have? We currently have 17 full voting members and several working towards full membership. Do you hold an annual competition? Our annual contest is SD Beard Clash held in late July. Do you have a charity/charities to benefit? We don’t have one particular charity we support but our goal is to help as many local charities as possible. We’ve worked with the SD chapter of American Heart Association, Big Paws Canine, & Family Connections SD. We’ve also supported many different fundraisers in the area as a club. We’re striving to be a group that if your charity is putting on an event in Sioux Falls you want us there to either help put it on or just come have fun and support the event. What is your proudest moment as a club? I would say my club’s proudest moment(to date at least) would be our competition this year. Only our second competition as a club and we had over 200 people attend, 70 competitors and raised $5,000 for a well deserving local charity. I was extremely proud of how well our club worked together to make it a great, smooth running event. If you have a club or know of a club that would be perfect for this feature, please click here for more information. Host Club: This Biennial event has a different, elected host each time it is held. For 2018 the host is the RVA Beard League. The bid and selection process is organized and overseen by the North American Competitive Beard and Moustache Alliance, or “The Alliance”. Date: September 29, 2018 at The National Richmond, VA.
Is this competition a charitable event? All proceeds will go to the Humane Society of the United States & the Pink Ink Fund. Open to everyone? Yes! There are 23 categories including Ladies/Craft categories. Additional activities: There is a full weekend of fun and friendly activities planned around the main event starting with a Thursday Kick-Off Party and Pub Crawl, a Friday River Float and evening Welcome Party, and a Sunday Brunch. Please visit the event site for more information. Additional Information: The Sunday after the GABMC in Richmond, each eligible club who has placed a bid to host the 2020 GABMC will get a chance to make a short presentation to support their bid at the Alliance meeting. Each Alliance Full member Club gets one vote in this process. Why do you do it? 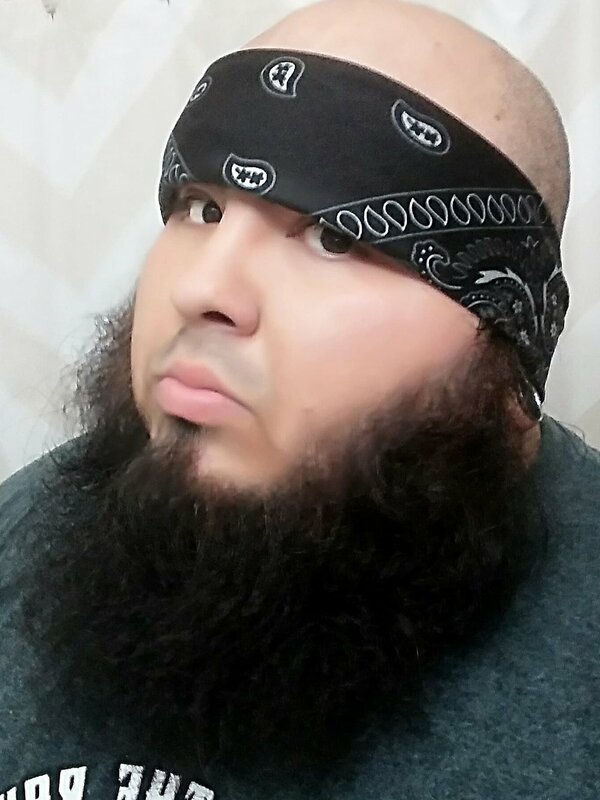 I started because the local group of beardsman were a fun group to hang out with. Not soon after, I found that I could compete with my mustache AND raise money for local charities at the same time. Then when my wife learned she could be a Whiskerina, it morphed into something we can do together. We have met some amazing people from around the world that love to drink beer, grow hair, and help the community. Hometown: I was born in Glens Falls, NY. Lived in Central Islip until 4th grade. Moved to Milford, PA for my 5th, 6th and 7th grade. Moved to Springfield, MO. right before my 8th-grade year and graduated from Kickapoo high school. The same school Brad Pitt graduation from, if that excites you. Moved to Fort Lauderdale, FL after high school for 10 months, then moved back to MO. Have been in Republic for 18 years now. Club affiliation: Queen City Beard & Moustache Federation out of Springfield, MO. Have you won any awards? In competitions, I have won 1st, 2nd and 3rd place in my categories. I have also won Best in Show in Cincinnati, which was amazing. Because it raises money for different charities. To know that we are helping others is a great feeling. Because it's like a family reunion every time. It's awesome to get to hang out with so many people that I love and envy. How long have you been bearding? I have always grown facial hair since I was able to. I officially began growing a full beard and competing in 2015. Since then I have worn numerous facial hair styles. Have you won any awards? As far as awards go I'm not as decorated as many others. I have won a few 2nd and 3rd places trophies around Texas for whaler and 6in and under. I have also won 1st place and best in show for a freestyle design once. When I competed at 2017 Worlds in Austin I placed 11th in the musketeer category. Why do you do it? I started the club originally to break the stereotypes of beards/tattoos and body mods. Once we got into helping our community it was a whole new reason for why I enjoy bearding. I love to attend and host beard comps to help raise funds and help local charities. I really enjoy the brotherhood that is created with fellow competitors. The friendships built became family-like bonds and the feeling of helping others and giving back is amazing. Club Affiliation: Portland Beardsmen "Co-founder"
Why do you do it? My beard is a crime against nature, I do what it tells me to do. If you or someone you know would be perfect for the AFHC feature, please click here for more information.